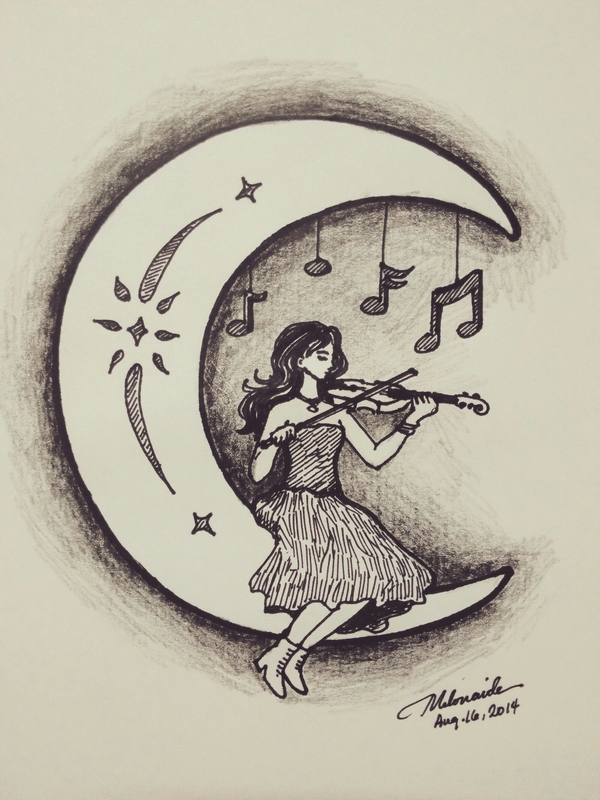 I made a logo for my brother’s violin ensemble in the school where he teaches – Clair de Lune. It’s his birthday today and this is his special request from me. I exceeded 10 more minutes just to make some extra touch-ups. I love the moon so I truly enjoyed drawing this. Thanks Marina. Sad to say that Doro didn’t make it. But he must be happy where he is now. Oh, no, I am so sorry to hear that… Yes, I also think he is happy.